My five year old son could barely keep his eyes open on Monday morning as I spoon fed him his Fruity Pebbles. I am guessing it was a combination of things: two Easter worship services, Sunday School, three Easter Egg hunts, a water balloon fight and a birthday party with two piñatas. I honestly don’t want to think of how much candy my children consumed on Easter Sunday. I didn’t blame my son. I was having a hard time staying awake myself. In fact, don’t tell anybody, but after I dropped my kids at school, I went home and crawled back into bed. I call it the Easter Hangover. For many pastors, the days leading up to Easter are so hectic. Our church has an added worship service each week during the season of Lent. The choir is busy practicing. The staff is busy planning the Holy Week and Easter celebrations. Then Holy Week finally arrives. Personally it is my favorite week of the entire year, but it also means numerous worship services for which to prepare. Then comes Easter, the highest festival of the Christian Church year. The church shines bright white, showered in Easter lilies. The music is victorious. The message is inspiring. The church is full. On Easter, pastors easily fall into delusions of grandeur as they imagine the church that full every Sunday. Then you wake up on Monday morning. The adrenaline has worn off. Reality begins to sink in. The desk and the calendar are piled high with the things you put off during the Holy Week rush. Phone calls need to be made. Members need to be visited. You are tired. Then you go to church the next Sunday. The sanctuary is now only half full. The music isn’t quite so victorious. You are still tired and now also frustrated. Why do so many people only go to church on Christmas and Easter? So what is the cure for the Easter Hangover? 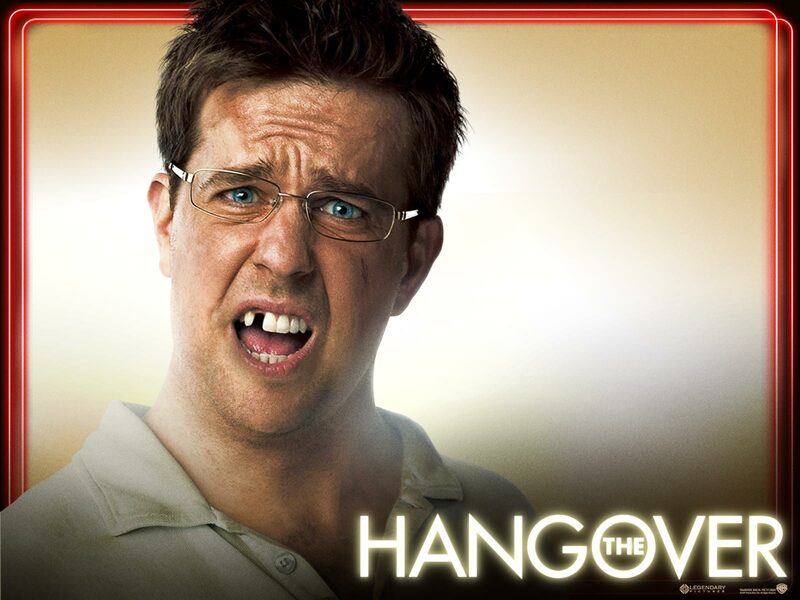 Ironically, the most common cause of a normal hangover is dehydration. Though it sounds counterintuitive, drinking alcohol leads to dehydration. The cure, therefore, for a normal hangover is to hydrate – to drink plenty of water. The cure for the Easter Hangover is to drink deeply from the water of salvation. The irony of Holy Week and Easter is that we as pastors get so busy with the planning, preparing and preaching that we ourselves fail to drink from God’s life-giving promises. We don’t take the time to meditate on Jesus’ words, “This is my body… This is my blood, given for you for the forgiveness of sins.” We forget to sit quietly at the foot of the cross and ponder his great love for us. We don’t listen as carefully as we should to the words of those victorious hymns. The joy of Easter is a victory which is ours now through faith in Jesus, but won’t be seen until heaven. On Easter, we feel a little like Peter did on the Mount of Transfiguration. It’s fun basking in God’s glory. Life here on earth, however, is not all mountain top experiences. Everyday life and the everyday work of a church aren’t all Easter lilies and victorious music. We have to wake up on Monday morning, go down the mountain and go back to work. But we can do so with renewed joy and energy – we can overcome the Easter Hangover – if we take the time to stay hydrated with the water of God’s Word. So go back to the promises of Holy Week. Hear him say, “Given for you… Shed for you.” See his cross and how it won for your forgiveness. See the empty tomb and celebrate the fact that you will live forever in heaven. Drink deeply from the water of salvation. What good advice—spend more time in the Word, contemplate the words of the hymns we sing, keep the fires of the celebration burning…Remember what we celebrate and why. Well said! That’s a movie..” The Hangover” and that guy is in it.. and I loved the article Pastor..
bastante constructivo e inspirador su articulo Pastor Andres, Gracias y Saludos! !